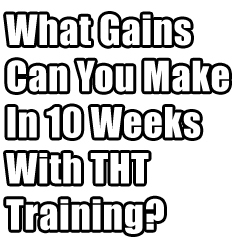 What Muscle Gains You Will Make In Your First 10 Weeks on T.H.T. Want to start THT? 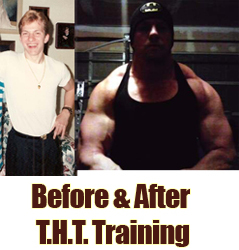 Have you trained THT-style before and are wondering whether or not to do it again? You should! I’m unapologetic when I say I fully believe that you’ll make better gains on THT than on any other program out there. And don’t put it off. It’s the start of a new year; it’s time to put everything right! To get started straight away, download the workout below. It’s free and there’s no spam. THT training works in 10 week cycles i.e. you train for 10 weeks, take a week off, then get back at it for another 10 weeks. So get excited! 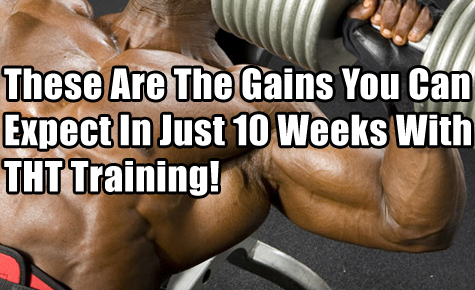 Here’s what you can expect to happen within your first 10 weeks! No doubt, the very first thing you’re going to notice how much stronger you will get – fast! With each successive workout you’re going to be blown away by the extra reps you are knocking out, and the increased weight you can handle. Everyone has this experience! You’re going to be shocked – count on it! Other programs tell you to wait months before you can see any difference – and even then you’re going to be disappointed. Even within your first 4 weeks on THT, you’ll see the size changes in the mirror. Even hardgainers/skinny guys get bigger in 4 weeks on THT! “Just finished 10 weeks of THT. Great results. 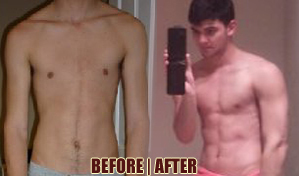 I weighed 63kg at 15% Body Fat (in the before pic). I weighed 69Kg at 12.5% (in the after pic). Huge difference. 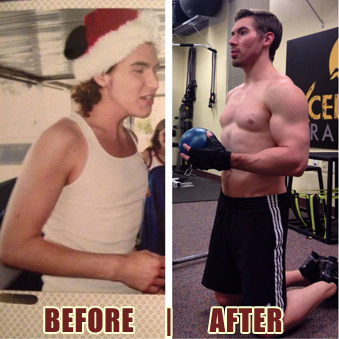 Thank you once again Mark!” Eric Leroyer, 20 yrs old. Note: that’s a 13.2lb increase in body weight with a 2.5% drop in body fat at the same time! “I am living proof of the point you are trying to get across. Like you, I sport a six-pack all year-round and continue to progress in lean mass gains. I weighed in at 153lbs when my training days began. I am now in the low 180′s. I did a bodyfat check this morning: 8.7%. Not bad, especially when you are still putting on size. I cannot thank you enough, Mark, for your thorough guidance. I am sincerely grateful and deeply honored to join the ranks of your success stories! Keep inspiring us, Mark. You are an icon!” Craig Moody, 27 yrs old. Miami, FL, USA. Following on from above, you won’t be the only person who will notice the difference in your body. And don’t be surprised when you get the “are you using steroids?” question. It’ll probably happen at some point. Take it as a compliment. THT will produce results so fast you shouldn’t be surprised when people ask you if you’re on steroids! It’s simple really. People lose motivation and stop training because the results aren’t coming. The results WILL come with THT. When you can see more muscle in the mirror, you will easily stay the course. 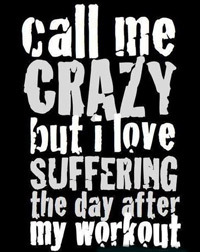 In fact, you’re going to be anxious to get to the gym for your next session. Though THT and my “lean gains” diets MANS and GLAD are not fat loss programs as such, so many people come back to me reporting fat loss. If they are eating above maintenance by using my Free Calorie Calculator, then this is hard to explain calorie-wise. But when you start to use a hypertrophy-specific program like THT, which ramps up all your anabolic machinery, then more of those calories can be partitioned to building muscle, leaving less to be used by the body for general energy purposes. In such a case, your body will burn body fat for that extra energy it needs. However, if you really want aggressive fat loss (while still training THT style) please get my Total Six Pack Abs program. I believe there is simply no better way the torch unwanted fat. The REAL testimonials I have received over the years have been incredible – check them out here. So, don’t put this off another second! Get THT now! You’ve tried other programs, right? The results weren’t great. So think about it, you have absolutely nothing to lose by trying THT. Your results can only be an improvement on the disappointing gains you’ve made in the past. (2) Start THT and make the same amazing gains as thousands of others have. Download THT below. After inputting your email, you will be taken directly to the download page for instant access to the workout. Hi Mark, Are you still planning on releasing the Chest Blaster routine? If so, do you have any idea when? I can add to the list of testimonials (but I didn’t take pics). THT made me bigger. That’s it. Other programs I got some strength, but nothing ever gave me size, until THT. Best workout I ever tried! The guy in pic one concerns me. he reckons he put on 13.2lbs of muscle in 10 weeks. this is more than 1lb a week, even the experts say that you can expect a 2lb a month gain as a newby and then it tapers off to about 1lb a month for a while then it drops again but this guy reckons he did a pound a week creating nearly half of all muscle gains as a natural lifter will create in there life time in 13 weeks.The average person will only ever create roughly 30 of extra muscle before maxing there genetics. @Jason. Awesome! Great to hear, buddy. I’ve had the THT ebook on my computer for a while and I haven’t got time to read it. I will definitely read soon! Hey Mark! I just start THT workout today,after years of try another programs.So in ten weeks i hope can tell you about my gains…Thank you for this great ( and free ) program and for all the motivation.As another guys said here,i think 2015 is gonna be my growth year! @Dai Even though there’s a lot of research on genetic limits of hypertrophy, there is a hidden variable that always alludes the research. It’s the fact that you may have always been meant to have more muscle mass but are essentially malnourished combined with inefficient motor patterns. The nutrition isn’t there for growth, and the simulation is lagging. Most cases I personally have ever seen are when individuals who have posterior pelvic tilt, sway back, and elongated rear delts begin doing squats, back work and activate their glutes directly. A person can gain 10-15 pounds of muscle and reduce bodyfat at the same time, so long as they’re correcting inefficient motor patterns, direct simulation of inactive muscles, sufficient nutrition, and much needed rest.